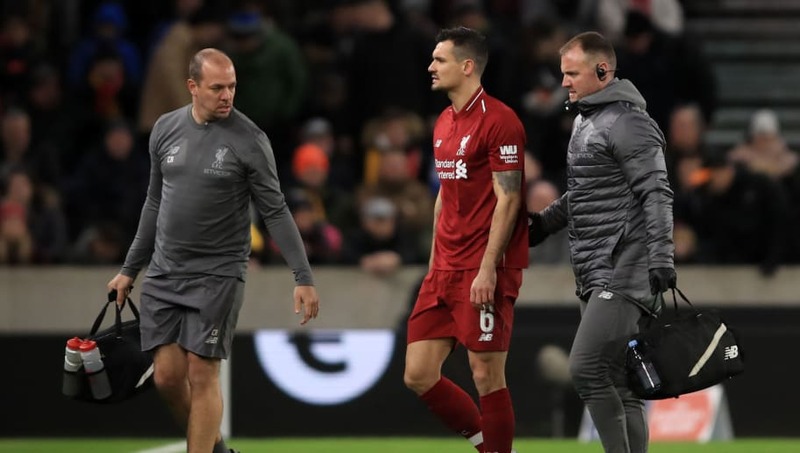 Liverpool manager Jurgen Klopp has issued an update on the fitness of Dejan Lovren, with most signs pointing to the centre-back missing the club's upcoming Champions League first leg clash with Bayern Munich. Lovren has played just 13 times for the Reds this season. He started the campaign with a pelvis issue, making his first Premier League appearance in October against Manchester City, and a hamstring injury sustained against Wolves in January has been keeping him out ever since. Lovren did not travel with the rest of the squad for their warm weather training camp in Marbella and, speaking to the club's ​official website, Klopp admitted he has not been planning for next week's European tie with the Croatian in mind. “I don’t want to rule it out but I cannot really plan with it,” Klopp explained. “He is not here for good reasons, because he cannot be part of training. We are back on Friday. Then from Saturday on, Dejan is back at Melwood and we will see. But, of course, we have to prepare it differently." And, though ​Liverpool are set to be without the titanic presence of Virgil van Dijk for the first leg at Anfield due to suspension, Klopp all but confirmed that ​Lovren would not be risked unless he made a miraculous recovery by Monday.